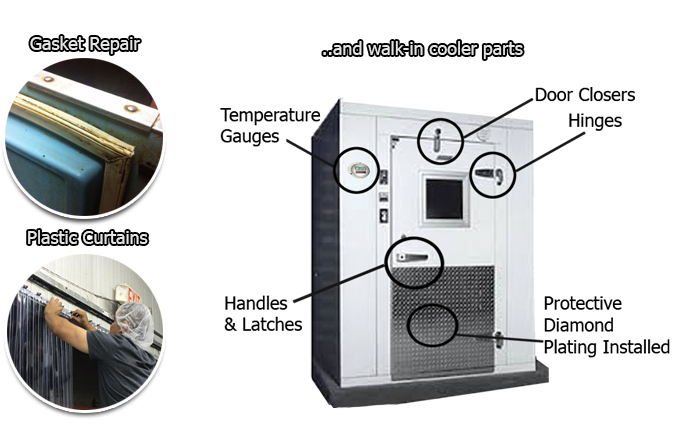 Looking to upgrade your commercial coolers? Your service professionals are ready to help! If your commercial refrigerator door gasket has become too dirty or no longer functional, our knowledgeable staff will be more than happy to make all necessary repairs and replacements. 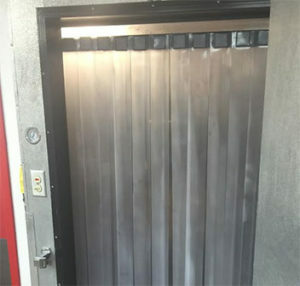 Maybe you would like to upgrade your current walk-in cooler with more functional equipment. Gasket Doctor has served over 1,000 businesses in South Florida such as restaurants, hospitals, or anywhere commercial refrigeration is needed. We are the only gasket repair service to guarantee 100% customer service satisfaction throughout South Florida. Your gaskets definitely are an extremely important component in achieving efficient cooling. Whether it be food, products, medical supplies, Gasket Doctor can repair it all. Sometimes, you can’t even see if your gaskets are failing. They appear clean, but may get old, harden, and crack. Our technicians are often called to inspect gaskets for preventative measures. Loose or corroded gaskets are replaced with efficient new ones, ready for the workload ahead. We even work on gaskets for hotboxes if you need to keep items warm instead! 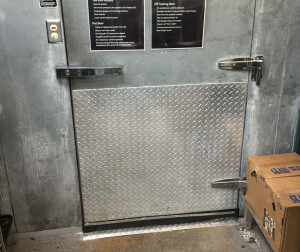 If you have a need for repair due to wear and tear, or would like to increase the functionality of your walk-in, then Gasket Doctor will order and install the parts. We install everything for our customers throughout South Florida. Door closers to ensure that your walk-in door isn’t left open. Placing protective diamond plating on your cooler door will extend its life indefinitely and take quite a punishment from the service staff too. One of the great benefits of diamond plating is the ability to cover up once unsightly blemishes from years of abuse. A professional looking door projects great appearance which is a plus for health inspectors who are looking for a clean environment. Our made-to-order plastic curtains can help prevent energy loss and helps extend the life of your compressor. Installing new plastic curtains also shows health inspectors that you are dedicated to storing your food at safe temperatures. We even have insect repellent plastic curtains to install in between corridors and entrance ways to ward off insects attracted to food and open doors that emit light. They also serve the dual purpose of temperature control.